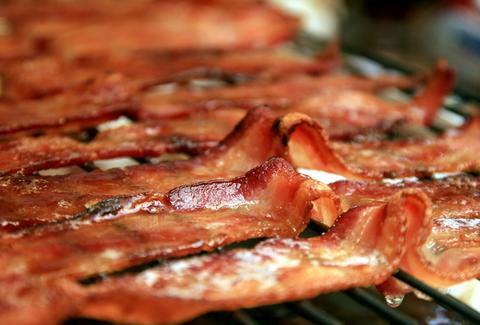 Everyone loves bacon (EVERYONE), and the Big Easy, with its long French, Acadian, Spanish, and German roots, has long had a love affair with the divine swine. But you don’t have to wander out into Cajun country to experience a day-long boucherie to get the good stuff. 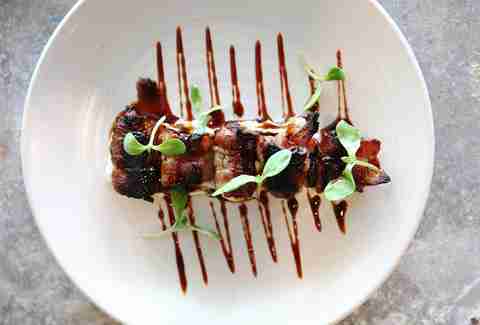 Here are the Crescent City’s best bets when it comes to bacon. 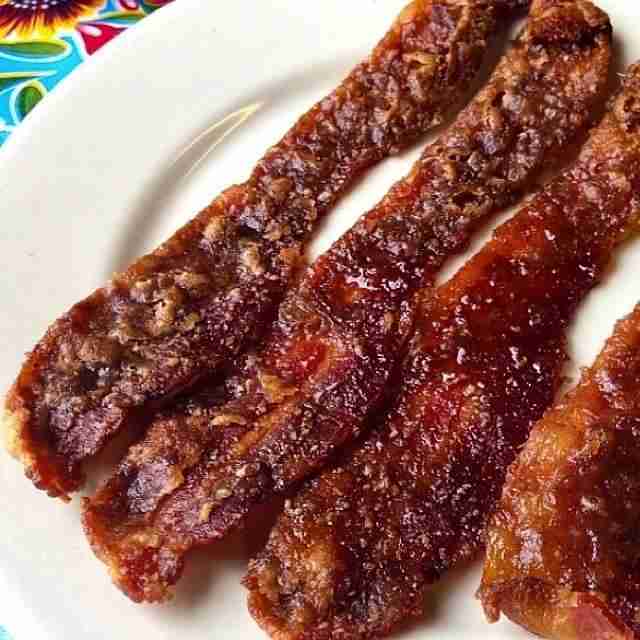 We’ve heard of chocolate-covered bacon and “bacon candy” (bacon coated with brown sugar and baked), but Elizabeth’s isn’t kidding around when it praline-ifies its breakfast meats. 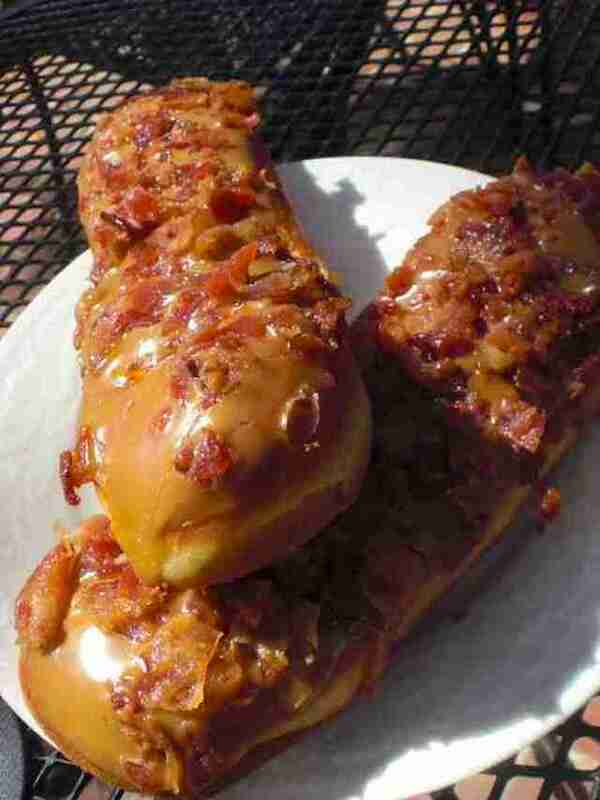 Invented in '98, it actually pre-dates the bacon-mania that has gripped the nation's arteries since. 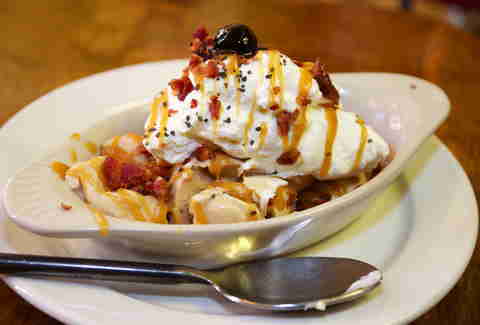 There is some mad genius going on with the dessert menu at Green Goddess, as evidenced by its sundae topped with bacon caramel (yes, that’s caramel made with bacon fat), topped with even more bacon and a Luxardo cherry. Tried and true jalapeño poppers are all well and good, but they’re even better when they’re also crammed full of swine strips and duck, as you’ll find over at Borgne, courtesy of Chef Brian Landry. 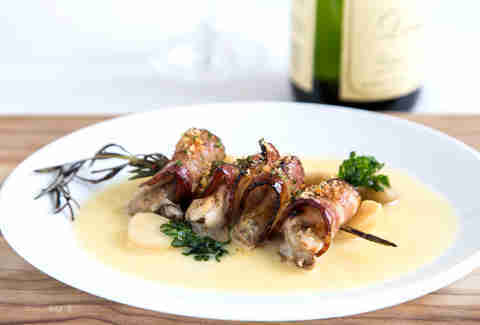 There is a traditional New Orleans dish, often found at the old Creole restaurants in town, known as “oysters en brochette”, which consists of local oysters wrapped in bacon and deep fried. Pretty awesome, we know. But it can also tend to be on the heavy side, which is what makes Tableau’s version -- lightly dusted in bread crumbs, skewered with a rosemary sprig, and paired with a roasted garlic beurre blanc -- so good. Not only did Chef Donald Link name his restaurant after the noble hog (Cochon is French for oinker), his catering van -- gloriously airbrushed -- is known as the “Pig Slayer”. 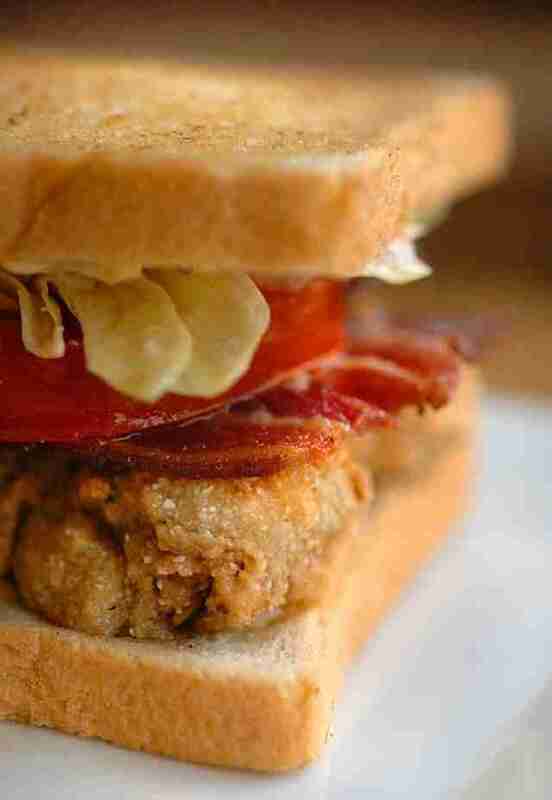 Make sure, if you go, to order the oyster & bacon sandwich to go with your fried rabbit livers w/ pepper jelly. How do you improve upon the BLT, that glorious combination of bacon, lettuce, and tomatoes? 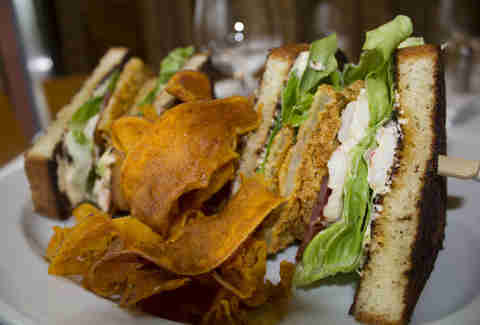 For Emeril’s, it’s all about adding fried green tomatoes and shrimp remoulade to the mix. BAM. There is nothing modest about Dat Dog, from the huge sausages (including turducken, crawfish, and alligator) to the overloaded fries. This dedication to excess extends to the cocktail menu as well, which includes a Bloody fashioned w/ bacon-infused vodka and garnished with lardons, as well as the requisite spicy green beans and olives. 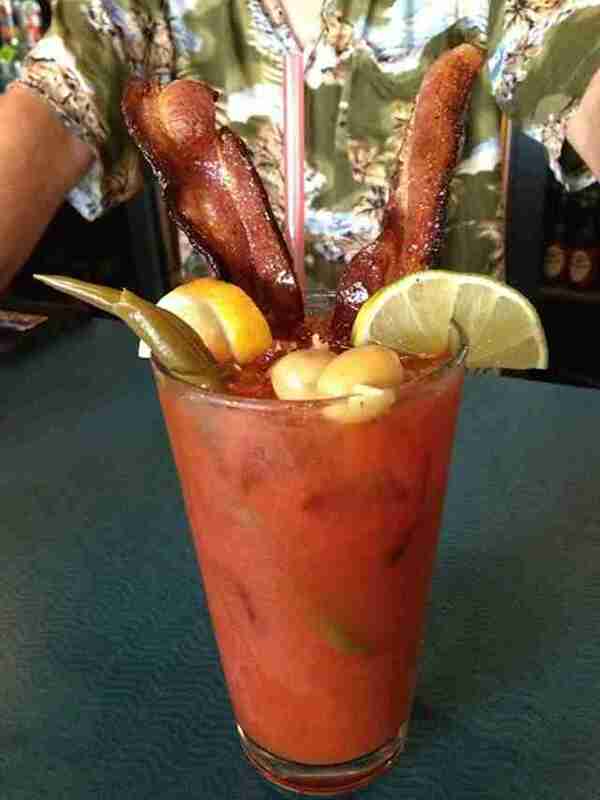 Because if there’s something better than eating bacon, it’s eating and drinking bacon. Dat Dog isn’t the only place in town to hop on the bacon cocktail wagon. (Greatest. Wagon. Ever, btw.) 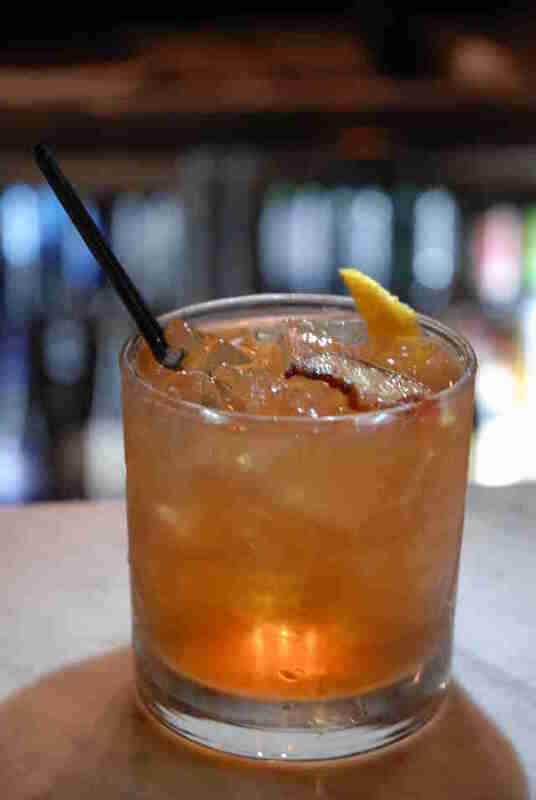 Freret St sandwich shop Wayfare enters the mix with its Old-Fashioned, which is made with pork belly-infused Buffalo Trace bourbon, maple syrup, bitters, and finished off with house-candied bacon. Donuts and hog gold are long known to be very close friends, and Blue Dot celebrates that kinship with its stellar Maple Bacon Long John. There might be over 50 varieties of house-made donuts here, but this is the one you truly do not want to miss. The ultimate, the omega in bacon technology comes courtesy of Somethin’ Else Cafe, where you’ll find back-bounty prepared in fried chicken fashion. 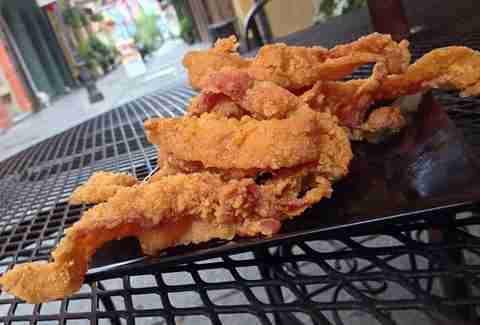 Yes: chicken fried bacon exists. And now that you know that, in all likelihood, you will not be able to rest until you have some.